We have to be honest, when we decided to go to Peru on vacation, it was not with the intention of going to Lima. Like the vast majority of visitors entering Peru, our goal was to go to the city of Cusco, where we could meet and explore our great desire, Machu Picchu. But after marking our trip to Peru, we began to investigate further and to search for information about Lima, to see how long we should stay there because it would be through its international airport that we would enter the country. 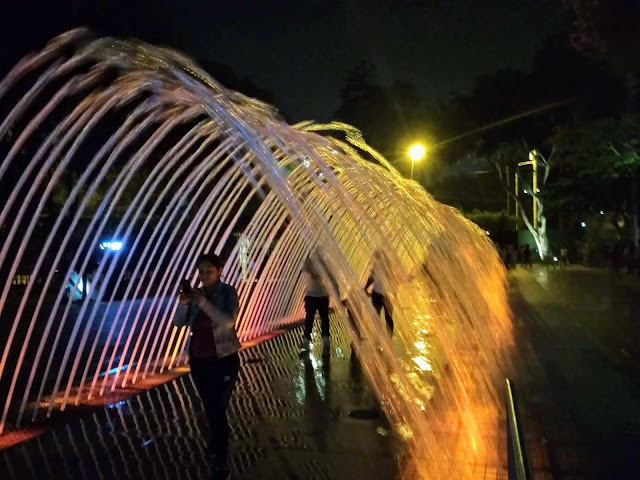 Having finished our research on our destination, we decided to stay 3 nights in Lima and, at a good time, we decided, because it is very worthwhile to book your travel time to visit the capital and the largest city in Peru. 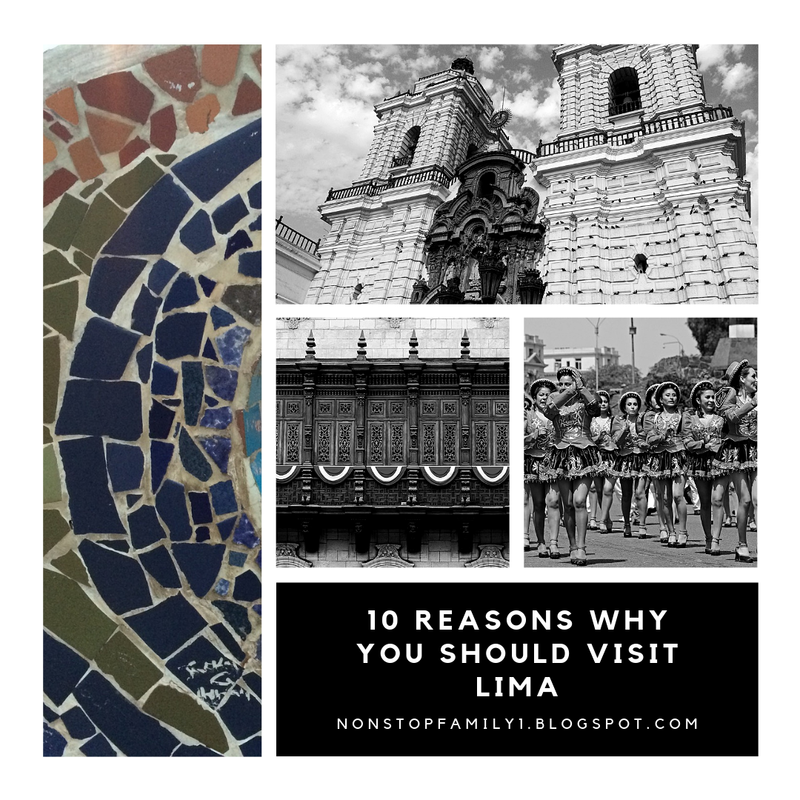 In this way, we would like to leave our testimony and give 10 reasons to know Lima, "The City of Kings", and hope that these reasons help them to spend some time of their trip to this city and its charms. 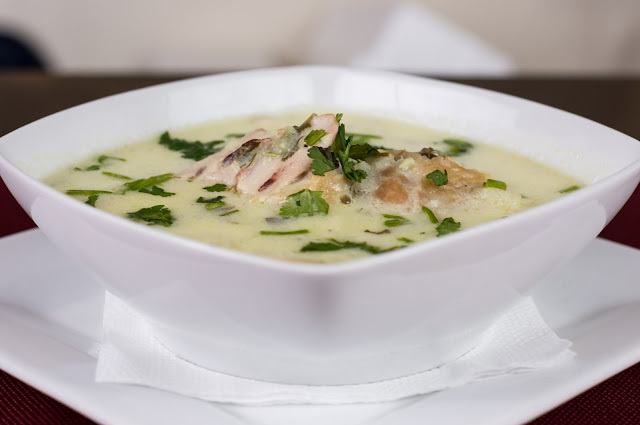 We did not know but, a quick internet search on Lima will soon lead you to discover that Lima is inseparable from delicious food. 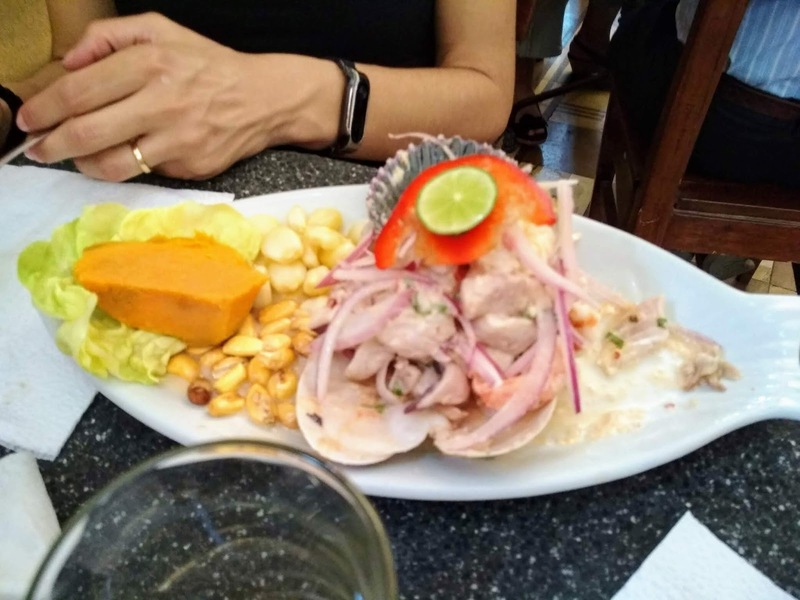 In fact, not only Lima but the whole country lives in a deep bound with good the food and, for those of us who love to enjoy the gastronomy of the countries that visit, you may believe that in Lima you will have one of your destinations of choice. Despite having some of the best restaurants in the world (we have not been able to try them), with great ease you will be able to have great meals in several other places, it's so easy to find good places to eat! On our trip, we fell in love with Ceviche, Lomo Saltado, Aji de Gallina, and so much more. The variety of dishes is enormous! We just have not been able to taste the Cui, they're too cute for us to eat. Another of the attractions of Lima is the museums, something that may surprise those who do not know a bit about Lima. The most famous and perhaps the most essential to know the History of Peru, is the Larco Museum, with its vast exposition of historical objects that seek to help to know the history of Peru that go from the beginning of the first civilizations that lived in Peru until the Incas period. But Larco museum is not the only one that deserves a visit when in Lima. Also worth visiting is MALI (Lima Art Museum), MATE Museum (Mario Testino Museum), where you can admire the work of Mario Testino, one of the most famous celebrity photographers in the world. Another museum that will not fail to captivate you is the Pisco Museum, where you can learn all about (and taste) one of the most delicious and famous local drinks. These are some examples, among several, that will surely leave you with the feeling of well spent time. Of course, we have the idea that going to Machu Picchu will be the highlight of our trip, but what better way to prepare ourselves for this experience than to know pre-Inca ruins? And, that's what Lima does not lack. 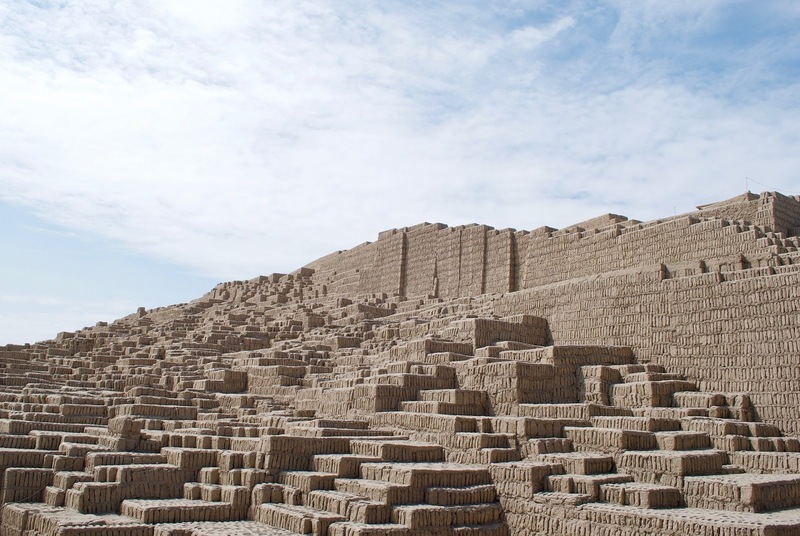 At a distance not too high, you can see ruins like Huaca Huallamarca and Huaca Pucllana, which will give you a better understanding of the history of Peru before Columbus arrived in 1532. But, these are just 2 great examples, because easily you will find much more. The Historical Center of Lima is perhaps the most famous image of Lima and it is not by chance since it has been classified as a World Heritage Site of Unesco since 1988. 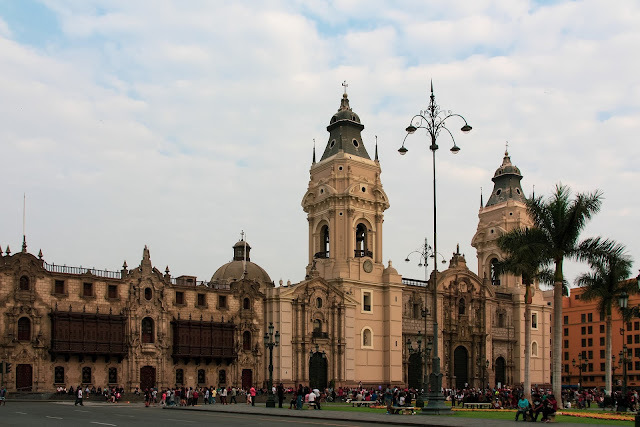 When you are in the Plaza de Armas, you can easily see the Basilica and the Convent San Francisco, the Cathedral of Lima, the Government Palace of Peru and the Archiepiscopal Palace, but in the space called "Damero de Pizarro", there are 608 historical monuments built during the time of the Hispanic presence in Lima. sure this area is a must visit for anyone in Lima. 5- Marginal of Lima, "Malecóns"
For us, the trip to Lima was the first opportunity to see the Pacific Ocean, never before had we had this opportunity, and for sure we wanted to enjoy it. 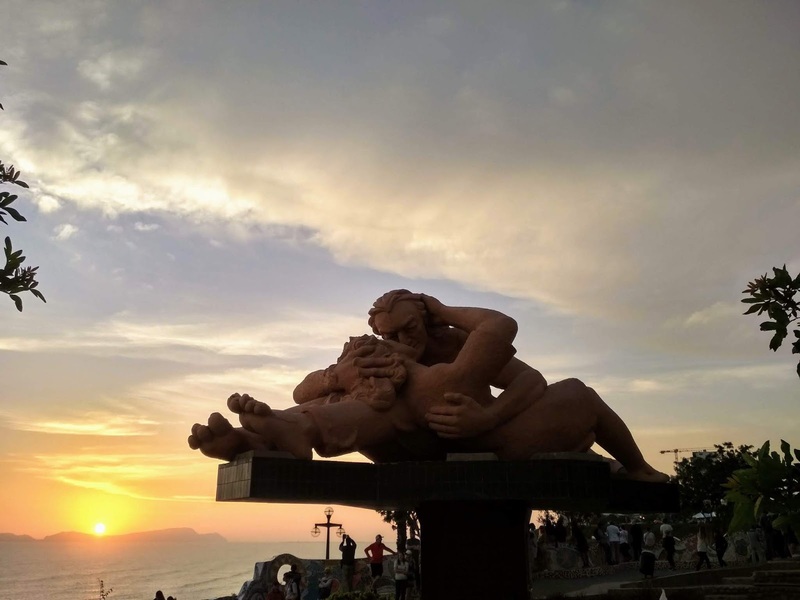 If you usually stroll by the sea, usually you do it really close to the sea but, in Lima, the traditional walk by the sea is held on the top of the cliffs and this is one of the must-do in Lima. On your walk by the "Malecóns", be sure to visit the Love Park (Parque de Amor) and, if you wish, you can rent bicycles and do this riding. If you are very adventurous and have about 70 USD, you can do paragliding over the beach, something incredible for the bravest. Has we are talking about sports, let's talk about surf. Lima may not be a well-known destination for surf but, we can guarantee that in Lima what is not lacking in good waves for those who want to surf. No matter if you are already an experienced surfer or, if you want to try it for the first time, there is the possibility of taking lessons and/or renting equipment. Just get ready, here the waters of the Pacific Ocean are cold, so you need the right equipment. Peruvians like to go out and dance, so if you want to know a little of Peruvian life, do not forget to try the Peruvian night, being that Lima is par excellence a place where you can enjoy the great nightlife. Many of the bars are concentrated in 3 areas, namely Barranco, Miraflores and Centro Histórico. Peruvians do not leave very early for the party, usually, they start from 11:00 p.m., time when you'll find that many places of nightlife are beginning to come to life, and you just have to choose the style that pleases you most. Of course, we can not fail to recommend that you visit "Una Peña" and dance to the contagious rhythm of Creole music. This park is one of the biggest attractions in Lima but, in our opinion, it really has the best enchantment at night, when its fountains gain light and color and the whole space looks like an enchanted place. We recommend to visit after 7pm and do not miss the shows, so watch the park schedule. You can check here their official website for prices and times. 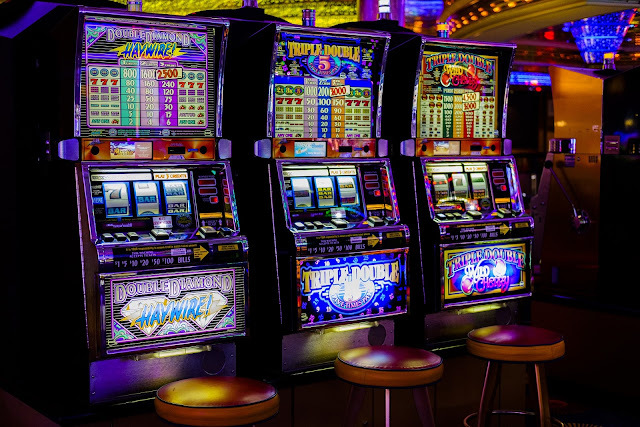 As we travel with our son, this is an area that we do not explore but, in Lima, you can explore to the maximum because what is not lacking in Lima are casinos, from the smallest to the largest. So, if you like it, feel free to trie it, because the offer is huge. If you want to trie it, we leave the suggestion of the Atlantic City Casino, probably the best know casino of Lima, located in Miraflores. Welcome to the city where it rarely rains. This way, you do not have to worry about the possibility of your tour being interrupted by rain. Although Lima is often covered by clouds and even fog, the truth is that it rarely rains, and the climate tends to be moderate, with temperatures rarely falling below 10º and more than 30º so your plans will be spoiled by atmospheric conditions. We hope that this set of qualities of Lima will help you decide to explore this vibrant and contagious city. Our personal experience compels us to say that it was a great decision to take a few days to get to know Lima, which is why we highly recommend this experience. We always do our reservations with booking, they are our partners and its with them that we get the best deals. You can look for the best deals by clicking here, it won't cost you any money and, it helps us to support our blog. We would also like to invite you to leave your opinion and questions and, in case you have already visited Lima, let us know what you think is the best place to stay in the city of Lima. Thanks for your visit to our Non Stop Family Travel Blog, come back often and, if you liked our article, don’t forget to share it with your friends. Visiting Machu Picchu is the dream of many that, just like us, love to travel. Fortunately, we can say that we have already had the privilege of visiting one of the biggest treasures of humanity and we can also guarantee that it is a fantastic experience, that we highly recommend to anyone who can to least do it once in their lifetime. However, when we marked our trip to Peru, where one of the main objectives, if not the main one, was to visit Machu Picchu, we discovered that there was a need for some preparation and planning, and this is not one so easy task as it might seem at first sight. 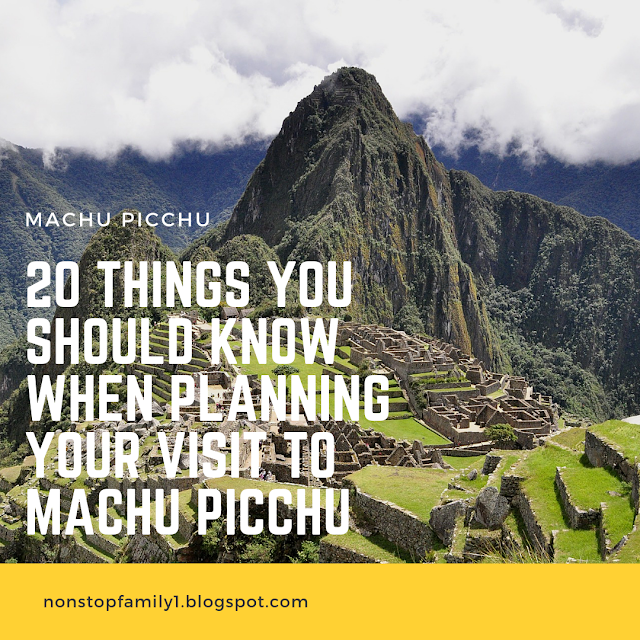 As we always try to avoid organized trips, and we like to plan and organize our own experiences, we began to study our trip in detail and we leave here our opinion about 20 things that we consider important to know when planning your trip to Machu Picchu. We hope it will be a great help to plan your trip and, if you have not decided to go, we promise you will not regret it. 1- How to buy the ticket to Machu Picchu. When planning your trip to Machu Picchu, you should organize and plan the precise day you will visit Machu Picchu, and then buy your ticket in advance. Never forget, Machu Picchu has a limited number of daily tickets and nothing worse than planning your trip to Peru than, when you want to reach the high point of your trip, you discover that you do not have a ticket to visit Machu Picchu. It is a fact that very often, tickets to Machu Picchu may not be sold out, but in times of more tourists arrive at Cusco, this is not uncommon to happen and, if there is a possibility of buying your ticket in the comfort of your own home, why not do it and be completely safe? You can do so through the official government website (click here) and, if you decide to make the journey to Aguas Calientes by train, we suggest that you book your train trip at the same time you buy your ticket to Machu Picchu, to be sure of the availability of both. 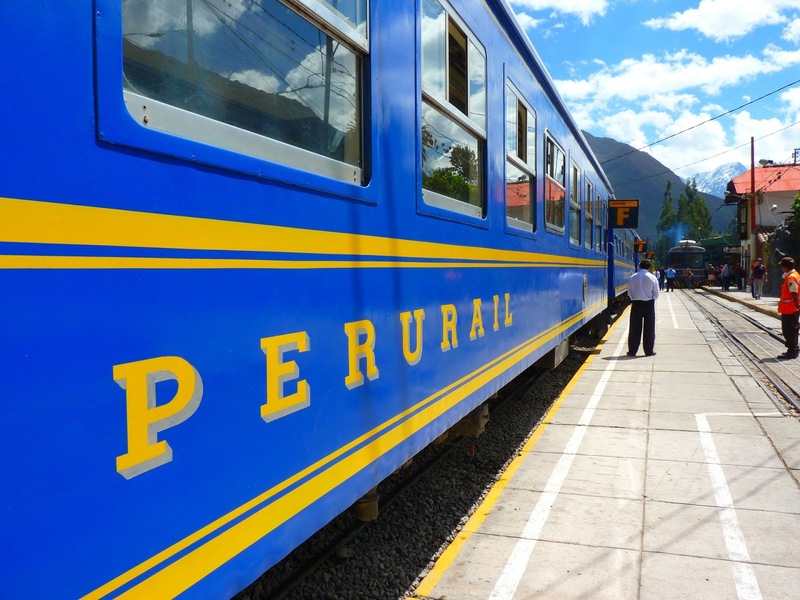 You can make the purchase of your train ticket through IncaRail and PeruRail (click on the company's name's to go to their official websites). Unlike the ticket to Machu Picchu, the cost of your train trip may vary, so we recommend buying in advance and comparing the different schedules and offers of the two companies in order to get the best deal. Take note that, in some cases, you will get a meal with the train ride. If you do not choose to buy your Machu Picchu tickets online, you can do so in the city of Cusco, at the Ministry of Culture, from Monday to Saturday, from 7 to 20 hours. You can also buy it in Aguas Calientes, at the Ministry of Culture, which has the opening hours from Monday to Sunday, from 5:00 am to 10:00 pm (click on the names to see the exact address on Google Maps). You can also buy your tickets for Machu Picchu at any Banco de Nacion, spread across several cities in Peru. Do not forget that you need to have your passport to get your ticket, and if you want to get a student ticket, bring your student card. 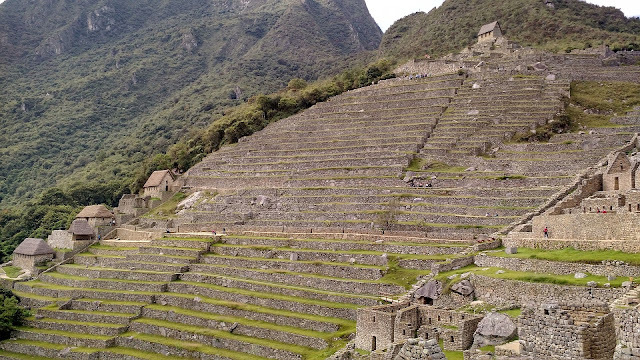 3- How to get to Machu Picchu. There are 3 main chances to reach Machu Picchu. You can make your way on foot, and the most famous route is through the Inca Trail, a walking route that takes about 4 days, but it's not the only one. 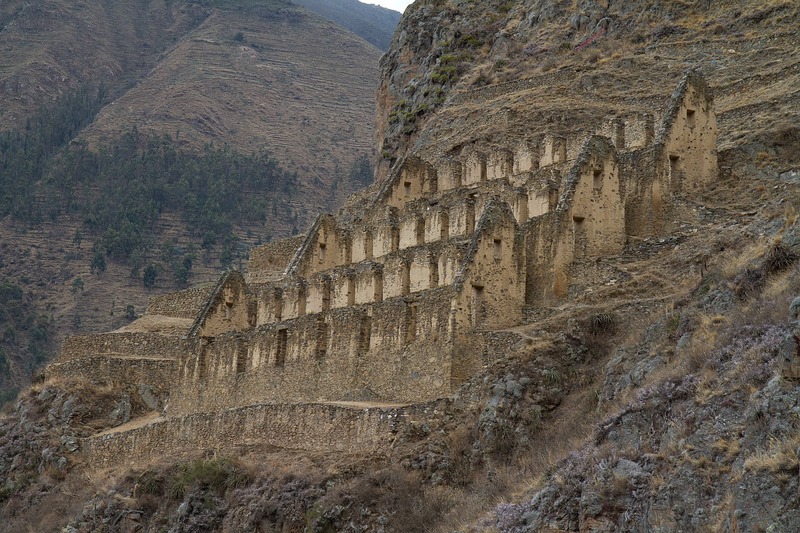 The second hypothesis is through the expensive train, with the best option is doing the connection between Ollantaytambo and Aguas Calientes. For last but not least, but much cheaper, there's the possibility of taking a collective transport to the Hydroelectric and then making a journey on foot about 2 hours to Aguas Calientes. In all three cases, you can then choose to go up and down from Aguas Calientes to Machu Picchu on foot or buy a minibus ticket that costs USD 12 each way. 4- When to go. The first minivan that goes from Aguas Calientes to Machu Picchu leaves at 5:30 in the morning. If you want to be one of the first to arrive and have the privilege of seeing the sunrise in this fantastic place, prepare yourself because you will have to lose a few hours of sleep but we can guarantee that it is worth it. However, it is not enough to arrive a little before 5:30 am to pick up your transport, because queues are formed a long time before, so at least one hour before departure we recommend that you join the queue, although it is always difficult to say how long before it you should arrive, as it varies greatly depending on the time of year in which you will make your visit. 5- How to avoid crowds in Machu Picchu. It is not easy to avoid crowds in Machu Picchu as it is one of the most desired places to visit in the world and, like us, very much want to know it. Despite the difficulties, there are some ideas that can help. One of them is to start very early, as we mentioned, if you are one of the first people to climb, you will have time before the biggest crowds, coming from Cusco, arrive at the destiny. Another good alternative is to book your visit more towards the end of the day, as Machu Picchu tends to have more visits in the morning than in the afternoon. Another of the chances is to escape the times of greater tourist flow, which tend to coincide with summer in Europe and North America, namely from June to September. Of course, visiting Machu Picchu during the rainy season may not be the wish of all of us but, from the middle of April until October, rainfall possibilities decrease considerably and make the chances of a visit without water greater. 6- Inca Trail. If you want to do the Inca Trail, you should make your reservation well in advance, as only 500 people are allowed per day, and this route tends to run out, especially in high season. Be prepared that it will always be an expensive option and you can not do it without a guide, so you always have to go to a certified agency. 7- Huayna Picchu. What also-rans out quickly is the possibility of acquiring the ticket that gives access to climb the mountain Huayna Picchu or the mountain Machu Picchu. This leads to a walk that for many is an experience that makes the visit to Machu Picchu even more unforgettable, but for others, as was our case, we did not consider it essential. This is a personal choice that we invite you to consider before buying the ticket, but as both tickets have an even smaller offer, and tend to sell out quickly, you will have to buy them in advance. To purchase tickets or just to check their availability, check the official website here. 8- Go slow. Make your way without haste. There are two main parts of the route, and when you enter, you may feel an irresistible urge to go very quickly to the far side of the place where you start the visit, with the intention of returning later where you started your visit. However, this is not allowed and, if you try to "go back", you will not be allowed to do so, only if you have a ticket to Machu Picchu Mountain or to Huayna Picchu. So, make the most of the hours you have to spend in this spectacular place, without haste. 9- Food and drink. This is a very pertinent question in Machu Picchu. According to the visiting rules, that was changed in 2019, you can not carry water that is not transported in reusable bottles, such as camping-type bottles. Also in relation to food, it is forbidden to be taken inland. However, through our experience, as well as other people we share, this is not a rule that is actually used and there is no effective control of the interior of the suitcases that people enter in Machu Picchu, so easily you will see people with plastic bottles and eating during their visit. However, you never know when the control will become more effective and we recommend that you always take care of the cleaning issue, do not take anything that could harm the environment where you are, especially when your environment is a treasure of humanity. 10- Bathrooms. 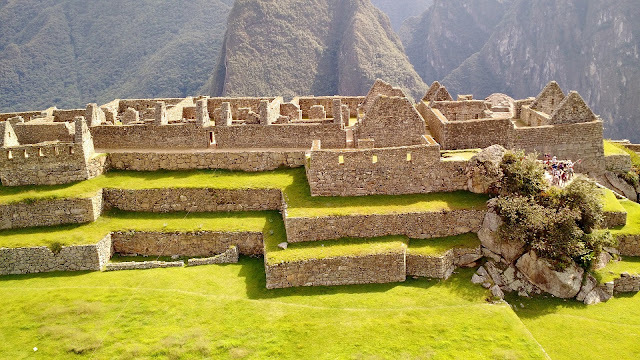 If in relation to the rule of food and water there has been some slightness in the way it is applied, the same does not refer to the bathroom, as they do not exist within Machu Picchu. There is however a bathroom at the entrance, which we recommend you to use, despite being paid, as the vast majority of the bathrooms in Aguas Calientes. It is recommended that you hold your bladder during your visit but if it is not possible, usually asking at the entrance it is possible to go to the bathroom and re-enter you will be able to do it. 11- Backpacks in Machu Picchu. Another issue to take into account when making your visit to Machu Picchu is related to the entrance of backpacks, which can not pass the limits of 40 x 35 x 20 cm, and have the maximum capacity of 20 Lts. However, you can leave them stored in Aguas Calientes, before picking up the minibus or storing them in the precinct, where are two possibilities, one before entering and another after, and the value is not high, especially the hypothesis after entering, that is even less expensive. 12- Walking-sticks. Although they are an aid to hikers, indoors in Machu Picchu it is not allowed to use walking-sticks, so do not take them. This is linked to the need to protect the heritage, so it is not allowed to jump, so characteristic in some poses of photographs that, in this specific place and, in order to protect the space, are not allowed and, the same applies to drones, they are not allowed. 13- What to take to Machu Picchu. 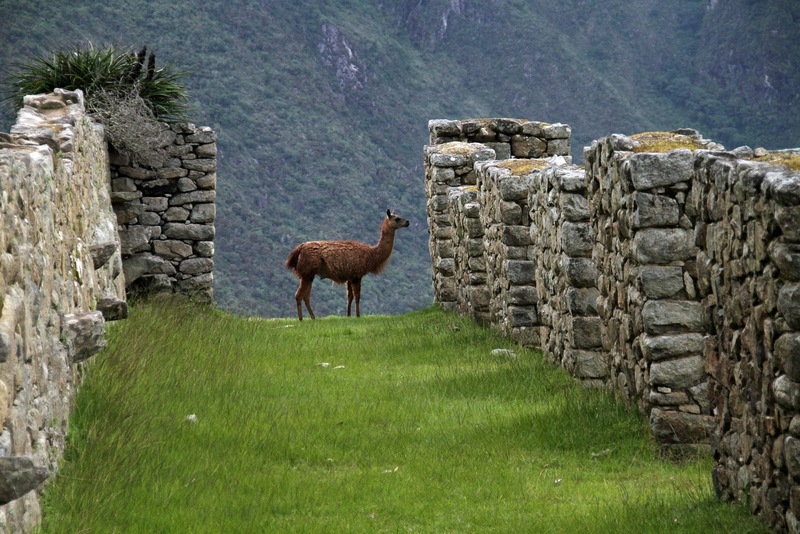 There are some items that you can not miss on your visit to Machu Picchu. One of them, of course, is proper clothing, always pay attention to the weather, as it can be very hot, very cold and beware of the rain, so prepare yourself properly. In addition to the care of the clothes, attention must be paid to the sun, Machu Picchu it is about 2,500 meters high, not far from the Equador line and, even though it may not seem like it, sunscreen is a necessity that we can never neglect. Put on sunscreen before you start your visit and take it with you to put it back during the visit. Also do not forget to bring a hat, sunglasses and, also very important, insect repellent. 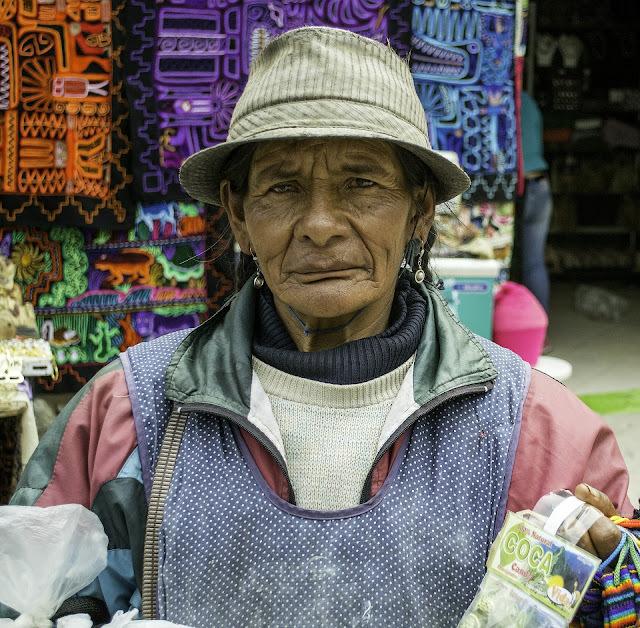 Something you'll often see are street vendors with repellents for your visit to Machu Picchu and when you get there you'll realize why. 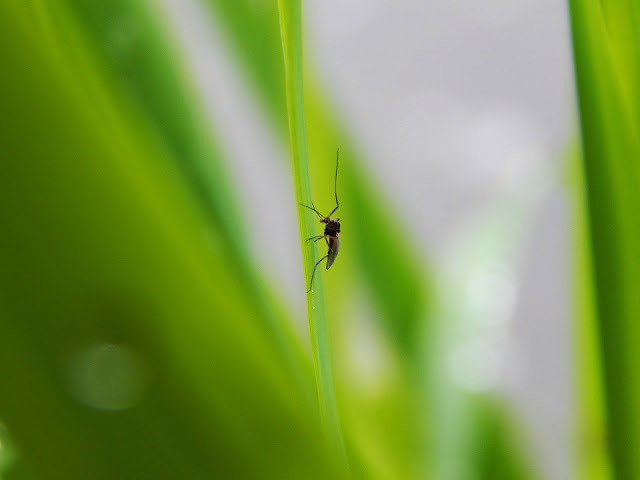 You may not feel the bites right at the time but later you will be sorry if you did not use repellent. 14- Give your body some time to rest. Do not go to Machu Picchu as soon as you reach the Andes. When you land in Cusco, you will be more than 3000 meters higher in relation to the height of the sea, which can cause several symptoms related to altitude sickness, or soroche, as referred by locals (see here how you can prevent and deal with the altitude sickness). One problem that occurs is that many people mark their visit for the day after landing in Cusco and it is usually the day after that the body manifests many of the symptoms of altitude sickness, namely headaches, vomiting, between others. As no one wants to visit Machu Picchu we recommend that you do not plan to go to Machu Picchu on the first, second day in Cusco, give your body time to get used to and take some time to enjoy some of the wonders of Cusco and the Sacred Valley has to offer. 15- Do I need a guide to visit Machu Picchu? One of the questions that many people put up is if they need a guide to make the visit to Machu Picchu. The rules for visiting Machu Picchu in 2019, say that anyone who visits this site should do it with an official guide. However, this is an obligation that will greatly increase the cost of your visit and, many people do not like to take guided tours and, in our case, we usually also try to make the discoveries at our pace and, in relation to Machu Picchu, with proper preparation and study, we even believe that it is not necessary to use a guide. Fortunately, the rule of compulsory recourse to an official guide is still not being implemented (2019), and we are able to make the journey at our will. If you want to use the services of a guide, but want to save some money, you can ask the guide to gather a set of visitors and thus share the costs of the visit. You can order the services of a guide to the entrance of Machu Picchu or even in Aguas Calientes and, as in so much in Peru, do not forget to haggle and look for the best price. 16- Follow the authorized routes. Who arrives in Machu Picchu usually comes imbued with the spirit of discovery and adventure. However, this impetus must be controlled and attention must be paid to the fact that it is located in a heritage site of humanity and that it is appropriate to fight for its preservation. In this way, we recommend that you always follow the path outlined and that you do not step on the walls. In addition, if you do, you will quickly have a safety talking with you (and they do it very often). Don't forget, any act less reflected on your part may put in danger a unique patrimony of humanity. 17- Always take your passport. This is something that applies in many of the experiences in Peru but in Machu Picchu, it applies a lot because to buy the train tickets, the minibus ticket to climb to Machu Picchu and, to buy the tickets to Machu Picchu, you need to do so using your passport. In addition, when you enter, you will need to show your passport again, along with the printed tickets. Therefore, do not forget to bring your passport. 18- Machu Picchu stamp on your passport. And, since we speak of a passport in Machu Picchu, do you know that you can add a stamp of Machu Picchu to your passport? It's not like you are in a different country, but the truth is that we love to see stamps on our passport, it's always a good sign, and if you wish, you can do it in Machu Picchu. It's right at the entrance, on your right-hand side, when you walk towards the toilets. You will see a small table with a stamp, where an official may be there stamping the passport to whoever wishes it, or it may be only the stamp and you can do it yourself. 19- Do not book tours online. 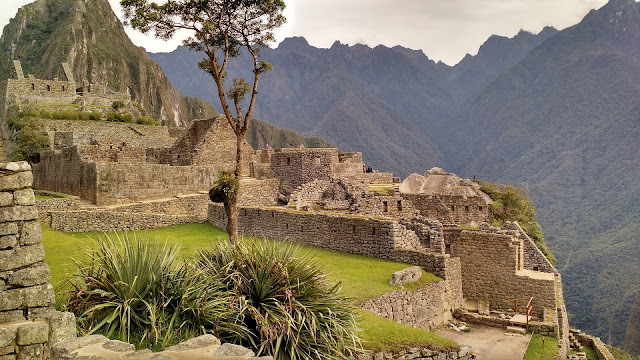 We really enjoyed making our own travel plans but generally, we searched online to do a price survey and something that startled us was the prices we found online for the tours/activities to be carried out by Peru, including the visit to Machu Picchu. Something that we can warn you is that, do not make any online reservation, except, of course, the purchase of tickets, train or Inka Trail and, of course, hotels. As for the rest, do not worry, you will have no shortage of offers as soon as you reach your destination. We promise, sometimes you will be tired of having so much supply. However, we can guarantee that prices are much cheaper when negotiated with operators in Peru, and the values presented online have nothing to do with those who are in person. Just do not forget, always negotiate and, do not just go to Machu Picchu, enjoy everything else that the Sacred Valley has to offer. And so we conclude our set of things that we think are important to know before going to Machu Picchu. Finally, we can not fail to ask those who visit this wonderful place that devotes its respect. It is not many times in life that we have the opportunity to be in a place that makes us feel so privileged and, nothing worse than disregard that honor than not present the appropriate behavior and we must not forget that this place deserves and must be preserved to the maximum, so that whoever visits him has the obligation to leave it exactly as he found it, in the hope that future generations will have the privilege that we have to know Machu Picchu. 20- Llamas in Machu Picchu. Just another information. 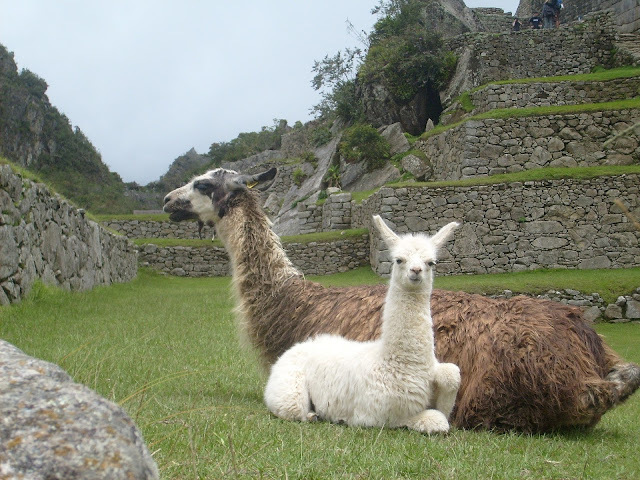 Yes, there are Llamas in Machu Picchu and, you can touch the llamas, they are very used to people and they are very sociable and sweet. We would also like to invite you to leave your opinion and questions and, in case you have already visited Machu Picchu, let us know what is your opinion and experience using our comments box. Thanks for your visit to our Non Stop Family Travel Blog, come back often and, if you liked our article, don’t forget to share it with your friends. Unfortunately, there is nothing that can guarantee 100% that adults and children will not suffer from Altitude Sickness when at high altitudes, particularly at more than 2400 meters when the first symptoms begin to appear. However, there is the possibility of seeking to prevent and, when it does not work, to help overcome more quickly and in a less painful way for children and adults. Altitude Sickness is, explained in reduced form, a malaise caused by the decrease of the quantity of oxygen in the air. That is, as we go up, the amount of oxygen in the air decreases and, generally from the 2,400 meters, this can produce unpleasant effects on the people. One question that has no real answer is the reason why some people suffer from these unpleasant symptoms with greater or lesser intensity, and others do not suffer any symptoms at all. However, the longer you climb, the more likely you are to suffer, and as on our trip to Machu Picchu, we would stay for a few days in the city of Cusco, which is about 3400 meters away. For us, who live in the city of Lisbon, near sea level, and before we go to Cusco, we would be in the city of Lima, also coastal would be a huge change, so we have tried to study this issue with seriousness. - When we travel there is always the desire to reach our destination and explore it greedily, but when you reach a destination at a high altitude, you will have to reserve in your schedule time to let your body get used to the new conditions. On the first, second day you will have to go slowly and respect the rhythm of your body. No hard work, no big ups, and no runs. When you feel tired, stop, relax, and breathe slowly and deeply, helping your child to follow these "rules" as well. We know that for children it may be difficult to ask them to stop but it is important that the whole family look for "go slow". Take some time to lie down to watch a movie, quiet activities ... taking it easy is rule number one. - Keeping yourself hydrated will be important to prevent or avoid the symptoms of Altitude Sickness. Always have water with you and encourage your children to drink frequently. Sodas are always something to avoid as they are not the best way to hydrate. Water is always the best alternative as well as natural juices and tea. In addition to the general advantage of the hot tea, that help in digestion, you will often see the tea muña, that is even better for digestion, something that can be harder in the first times in altitude. You will also find out that, in places like Peru and Bolivia, you will have the chance to drink the famous coca tea. 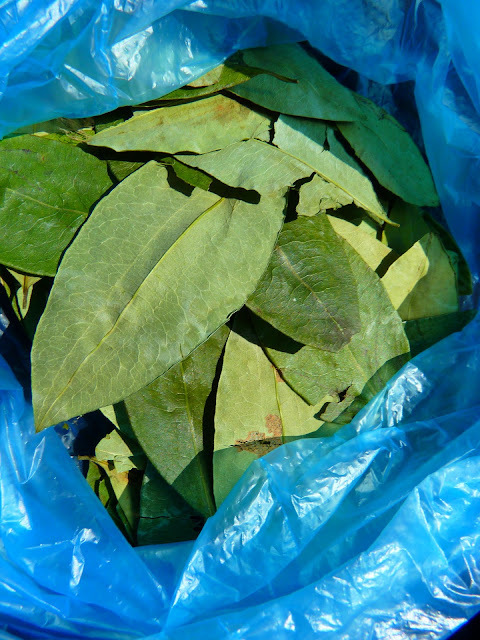 Coca tea is widely used by adults in Peru and Bolívia and there are those who recommend it for children. We did not give it to our child, just out of fear, but we gave some candy with coca made for children. If you choose to give your children coca tea, do not forget that children's tea will have to be weaker than what the ones that adults drink. 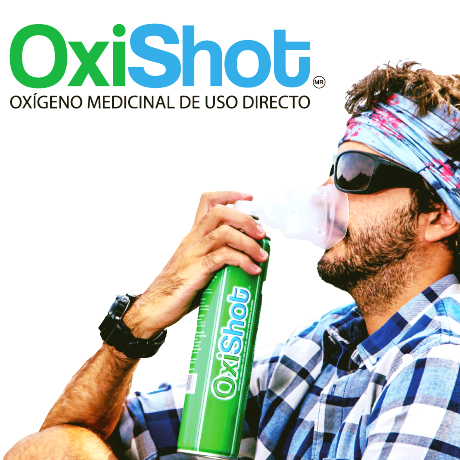 - Something you'll often see on sale in many high-altitude cities is tiny oxygen cans that, when the first Altitude Sickness symptoms are appearing, you can give the child a few seconds to breath (and also to the adults), and the symptoms tend to subside or disappear quickly. Many hotels in elevated locations are also often equipped with oxygen cylinders when needed. When you feel this need, yours or your child, seek help from the staff at the hotel where you are staying. 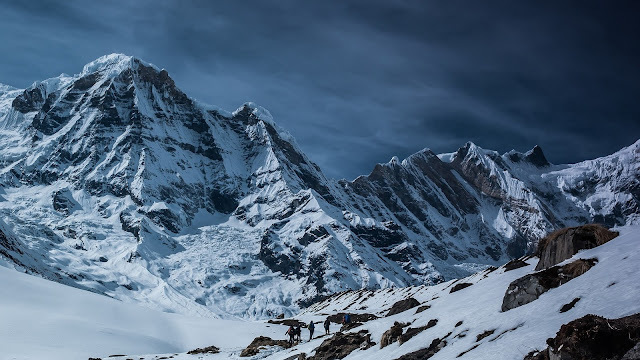 - The cold also does not help, and when in high altitudes, can contribute to the increase of the symptoms of Altitude Sickness, so we recommend that you always wear appropriate warm clothing adapted to the temperature where you will be and always look using it in multiple layers, the best way to prevent the cold. - We have not used it but several people advise the use of ibuprofen in the case of Altitude Sickness symptoms, especially headache. However, do not forget that ibuprofen is medicine and any use of medicines should always be performed after consultation and medical advice. - When the symptoms become severe, we recommend that you seek to descend from the height and take the adult or child to a hospital or medical center as soon as possible. Although rare, there are cases of Altitude Sickness that can be dangerous, so it is better to prevent and search for specialized help. How to prevent altitude sickness in toddlers and kids? There are no 100% effective remedies to cure Altitude Sickness, but certain strategies can actually help reduce symptoms or even prevent them at 100%. Let's talk a little about these strategies. Again, we refer to the need to talk to the doctor who follows your child before making your trip, better than anyone else, he will know the child's medical condition and will know the appropriate recommendations before starting the trip. Something we would also like to convey is that children up to 3 months should not be subjected to high altitudes as well as children with specific medical conditions, hence again we mention the need to talk to your doctor before you to the trip with your child's. - One of the most effective strategies you can use is to let your body settle in slowly, that is, to stay at an intermediate altitude before moving to your final destination. Let us give our example. The gateway for many visitors to Machu Picchu is the city of Cusco, which is about 3400 meters high. However, in order to make life easier for all of us, instead of staying in Cusco, we left this part of the trip a few days later, and when we arrived at the airport, we took a taxi directly to the city of Ollantaytambo. about 2790 in height, where we stayed overnight for 3 nights and used it as a base for our trip to Machu Picchu. It may not seem like much, but 600 meters of altitude can make a lot of difference, and this was a great way to get our body used to the altitude. - Another recommendation is for those who move to high altitudes by car. Try to take frequent breaks and be very careful about the curves, which often serve as a facilitator of nausea and discomfort. 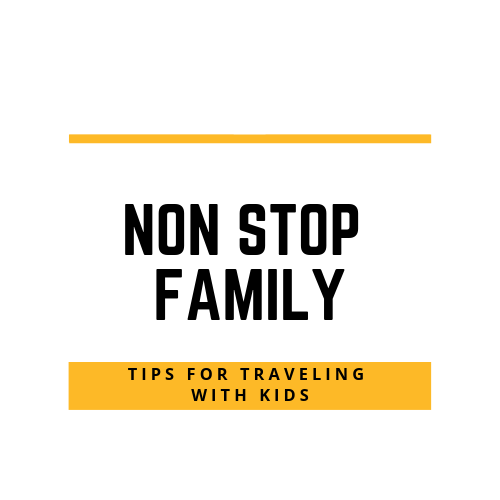 - Give your child light foods before and during the trip, especially hydrocarbonates such as bread, cereals, pastes, and promote frequent ingestion of fluids, especially water. - Although difficult, try to talk to the child about the need to avoid many run-ins in the early days. Take with you a set of quiet games to be able to make a family, some movie to see together... Prepare your child for the need for fewer runs and efforts. Also in the same direction, prepare for the whole family more relaxing activities for the first two days in altitude, respect and let the body get used to the changes. - Try to sleep at lower altitudes than you have during the day. For example, if you took a ski vacation, try to do your days activities at a higher altitude than the place where you will spend the night. 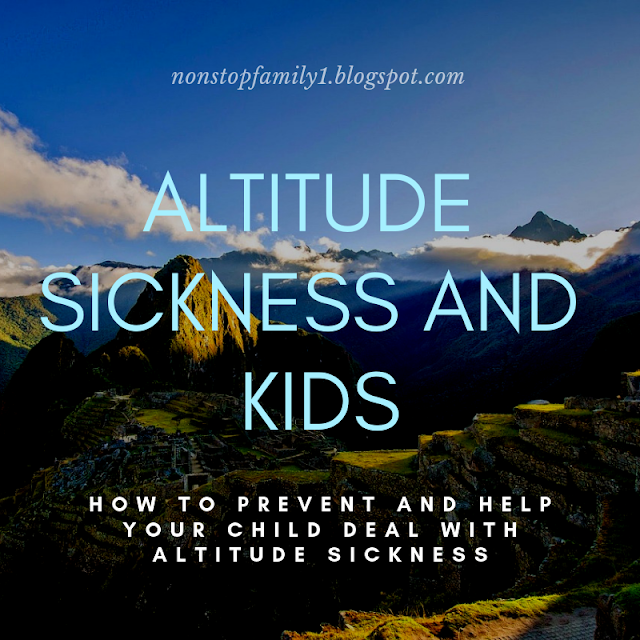 You have your dream vacation all planned, but are you afraid of Altitude Sickness effects on your child? Do not have it, go ahead and enjoy yourself. In most cases, the symptoms will only be very slight and often children feel even less than adults. However, it is important to take certain precautions and cautions, such as those throughout our article. Traveling with children is wonderful, and your mountain holiday with your son becomes even more special when we see their joy. However, do not forget the importance of talking to your doctor and, after that, enjoy your vacations! We would also like to invite you to give your opinion and questions and, in case you have already traveled to a place with high altitude and suffer from altitude sickness, let us know what you think is the best way to prevent it and to deal with it. Thanks for your visit to our Non Stop Family Travel Blog, come back often and, if you liked our article, do not forget to share it with your friends.